hey guys! today was another day, too. but brad told me that i should write a “good” post tonight, so i’ll try my hardest to make it a good one! 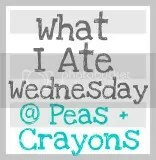 although, i guess it’s always a good post day on wednesdays because of jenn’s what i ate wednesday party! 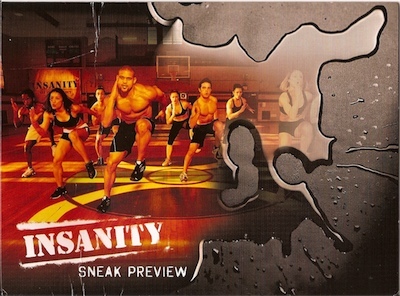 this week is themed wiaw with doms – seriously, insanity is killing me. i walked around like an old lady all day. i don’t usually have time to make hot oats on work mornings, so this is definitely a treat! 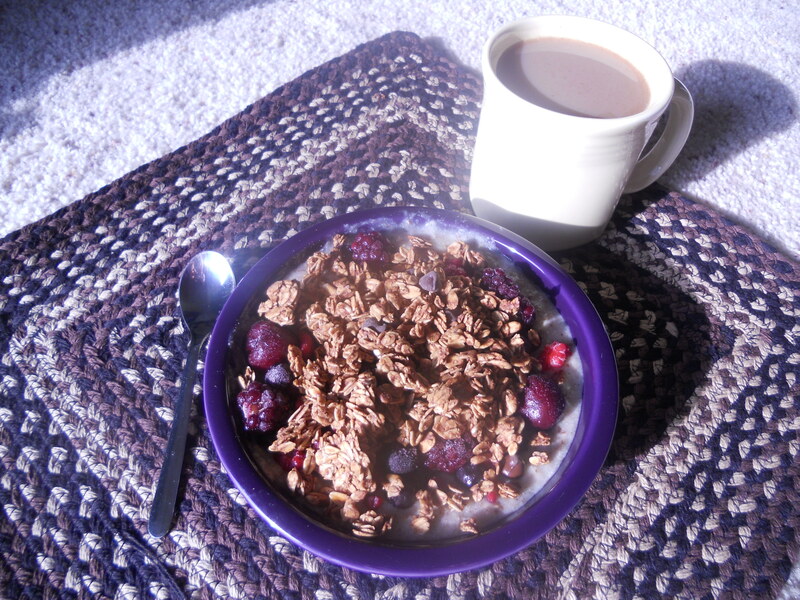 i had banana oats with tj’s very berry cherry blend and cocoa goodness love grown foods granola! so freaking delicious. lunch went unphotographed, but it was a pickles, cheese, and mustard sandwich on whole wheat bread. i promise, it’s so good. then brad and i had a major torture session. followed by a protein shake that we gulped down! then we fought each other off for the first shower…i won! and then we made a crazy good dinner. i got my inspiration from this post from jenna. goat cheese + shrimp in quesadilla form? i’m in. we prepped and prepped and prepped. and we used our early wedding present quesadilla maker! and enjoyed a big smorgasboard for dinner. 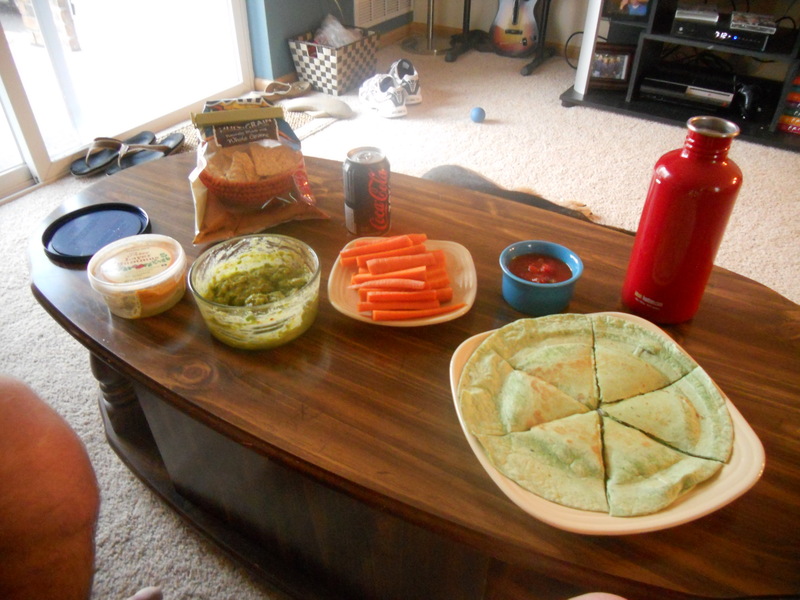 we had cut up carrots with hummus, whole wheat tostitos with guacamole and salsa, and the goat cheese and shrimp quesadilla! and the puppy sat right next to us and watched every single bite enter our mouths! happy wednesday! only 2 days til the weekend! no star wars movies tonight – we just ordered the original trilogy on dvd, but it’s not here yet! This entry was posted in ramblings and tagged cheese, cherries, goat cheese, granola, guacamole, love grown foods, oats, pickles, quesadilla, shrimp, what i ate wednesday. Bookmark the permalink. I have that DILLA maker! =) though I haaaaate cleaning it! hookay soooo you can write ANY post you’d like! I’ll be here for ya regardless! I know you must be going through a lot esp with the pre wedding shenanigans so if you ever need to talk – holla at me ok? love you!!!! My son and I just put together a Star Wars spaceship Lego set. It was so fun, took us days to do it. He calls Darth Vader “Star Wars” – he hasn’t seen the movie, so I thinks that’s his name. Yes my fiance is obsessed with star wars. The movies have grown on me. hi daniella! thanks for stopping by my blog! brad is pretty obsessed too. apparently he’s played a lot of star wars video games in his day in addition to seeing the movies! Write whatever post you need to write! We’ll all still be here reading. I’ve seen all the star wars, but only once or so. I definitely prefer the originals and actually look forward to my little guy growing up to see them. i’ll show brad this comment! 😉 thanks, michelle! I’ve seen the first and third about a zillion times, but I don’t think I’ve ever seen Empire Strikes Back the whole way through. Definitely worth a watch! i’m shocked that i actually like them! brad has been trying to get me to watch these movies with him since we started dating! I’ve seen all the Star Wars movies–when they re-released the old ones in theaters before the new ones came out, my dad took us to see them all because he was such a fan when he was a kid. I think you will like the original trilogy a lot, perhaps even more than the new ones! I have seen Star Wars…but it didn’t make an impression. I only have seen the first one (which I think is technically called the fourth one now?) and I don’t really remember much about it. I’m afraid this makes me a bad human being. 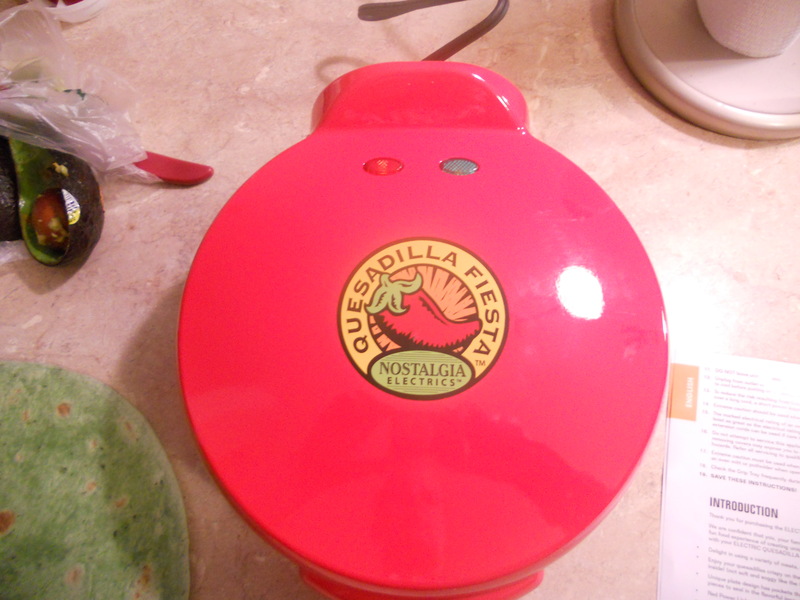 We use that same quesadilla maker for work when we are at food shows – they are so handy!! I feel like the only idiot in the world to have not watched star wars, now I think I should. haha, i’m sure you’re not the only one who hasn’t seem them! but now that i’ve watched some of the movies, i do recommend them! 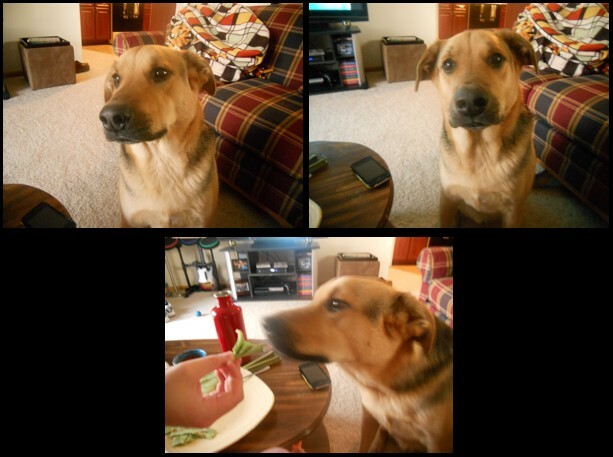 Aww Capone is so cute!